Days after more than 1,500 “eligible” migrant children were reunited with the parents taken from them at the U.S.-Mexico border, the Trump administration has — by the order of a federal court — turned its attention to a much steeper challenge: reuniting hundreds of separated children with parents it has already deported. Those parents are now scattered across the globe, many of them likely in new corners of their home countries, where they aim to escape the hazards that spurred them to seek refuge in the U.S. in the first place. Asked last week what steps they would take to reunite those families, federal officials demurred, saying they would leave it to the discretion of the federal judge who first ordered reunifications. It wasn’t clear whether those families would be reunited at all. Now, that judge has spoken: The federal government will have to lay out plans this week for reuniting the hundreds of families now split by the U.S. border. “We are actively working to make contact with all of those parents, yes ma’am,” said Jonathan White, an administrator with the federal Department of Health and Human Services, in response to a question from U.S. Sen. Mazie Hirono, a Democrat from Hawaii, at an oversight hearing Tuesday. But White could not say how many of those parents have been reached. In the meantime, a host of nonprofit agencies and advocates have already mobilized in Central America to locate those parents. In many cases, they are operating with minimal help from the government, which has been loath to turn over full case files on those migrant parents to legal advocates working to locate them. At a court hearing on Friday, Department of Justice attorneys said the “onerous” process of providing detailed information about deported parents could siphon manpower away from other agency efforts. 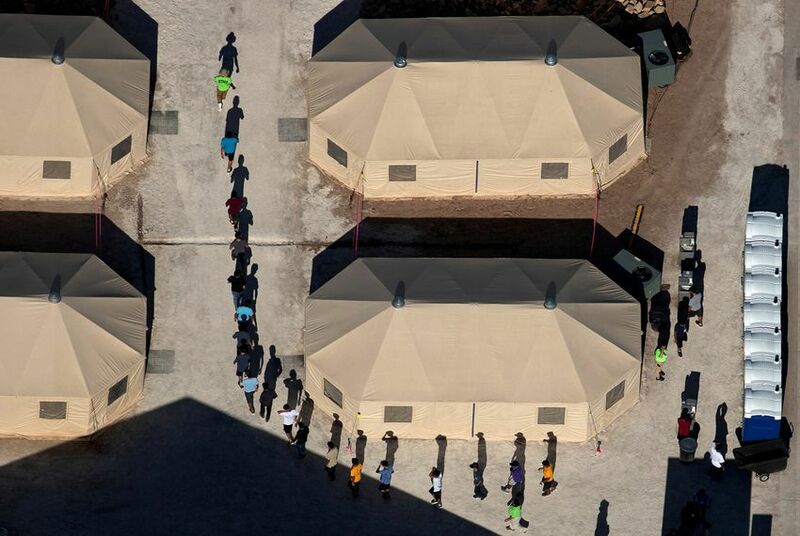 “There [are] very burdensome data efforts that would detract from reunification,” Department of Justice lawyer Scott Stewart told U.S. District Judge Dana Sabraw, the George W. Bush appointee presiding over the main family separations case. Nevertheless, Sabraw ordered the government to provide that information this week to the American Civil Liberties Union, which successfully took the federal government to court this year to order the reunifications and which has coordinated some efforts to locate migrant parents who were deported without their children. Locating those parents, ACLU attorney Lee Gelernt said, is a top priority. To hear some federal officials tell it, all parents who were deported without their children chose to leave their kids behind; Albence said many migrants prefer to leave their children in the United States to pursue a new life rather than to return them to dangerous home countries. But migrants and their advocates have said they often made those choices in a state of confusion or under duress. Others say they were misled entirely. But by Tuesday morning, that “ineligible” number had dropped to 569, raising questions about what the standard was in the first place. The government has said many parents on that list are excluded because of troubling criminal histories. At the hearing on Tuesday, White said those “red flags” include prior convictions of child abuse or other violent crimes. But advocates working directly with migrant families say the standard for “eligibility” is neither fixed nor clearly explained. One migrant mother, according to workers at Annunciation House, an El Paso shelter for immigrants, was told she couldn’t be reunited with her child because she was jobless and staying in a shelter. But another woman staying in a shelter without a job was reunited with her kid on Thursday. Julian Aguilar contributed reporting from El Paso.